If you don't see your ring size, please call 00353-1-899-1351. We may still be able to help you. The selected ring size is temporarily unavailable. Please call 00353-1-899-1351 for further assistance. 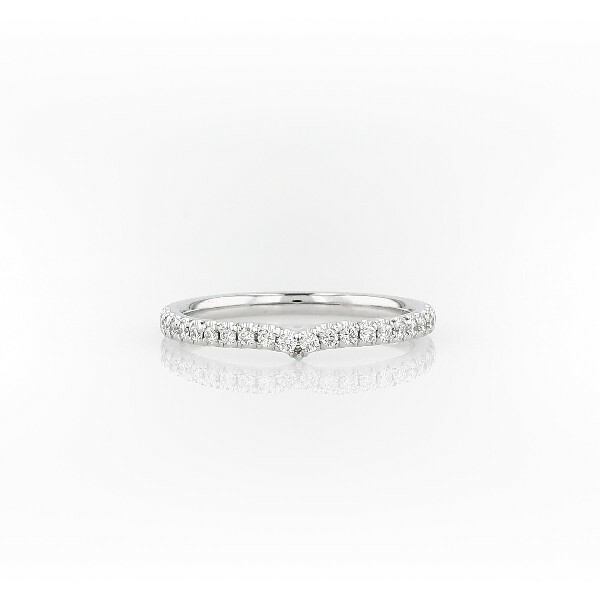 This gorgeous white gold wedding ring features a row of brilliant pavé-set diamonds and a gentle peaked curve meant to complement your engagement ring.